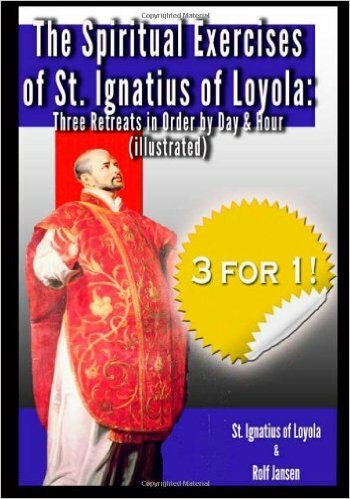 "Do it Yourself" Ignatian retreats in Order by Day and Hour - 30 day, 15 Day & 8 Day in the classical arrangement, super easy to use. + Brand new Exclusive Ink Carving™ Illustrations by generative artist Rolf Jansen highlighting Meditation of the Spiritual Exercises – 11 in total! 30 Day, 15 Day and 8 Day retreat according to the classical arrangement Ignatius of Loyola was born Oct 23 1491 and was a Spanish knight from a local Basque noble family. He later became a priest in 1537, and is most known for his founding of the Society of Jesus (Jesuits). He was canonized a saint in 1622. It is to this order that Pope Francis I belongs.